In a cocktail shaker, combine vodka, simple syrup, lime and blood orange juice. Shake and strain into a cocktail glass filled with ice. 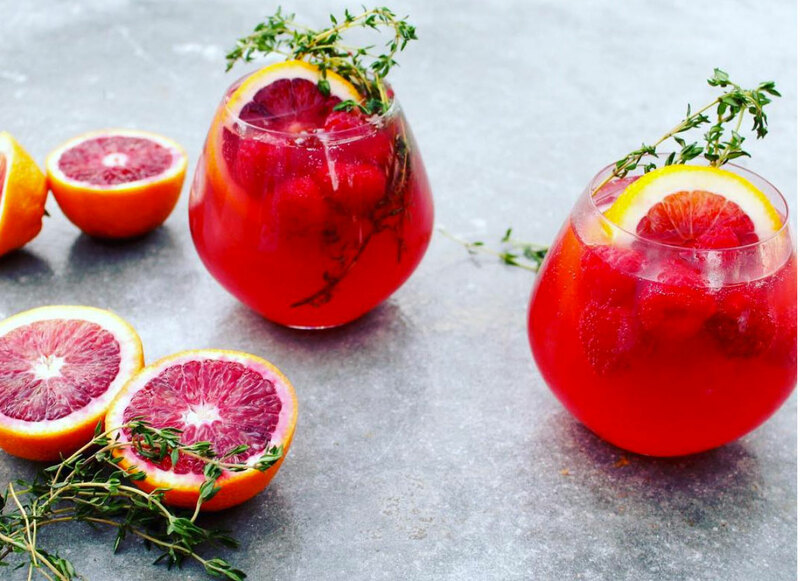 Top with blood orange sparkling soda, blood orange slices, raspberries and fresh thyme. Enjoy! *If making in advance-do not add the sparkling soda until right before serving.